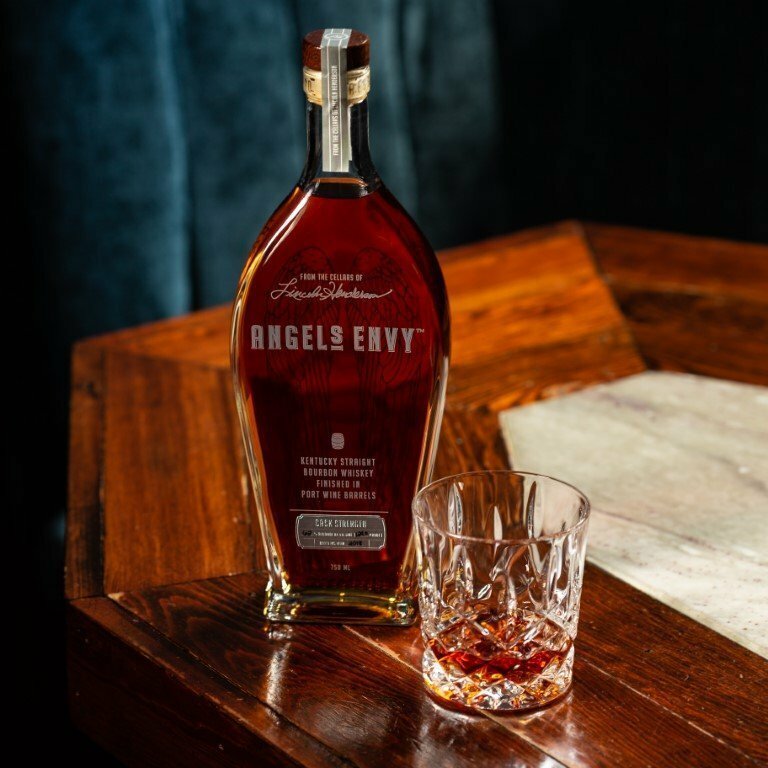 While Angel’s Envy has become a mainstay of the back bar, its annually-released Cask Strength expression has become a collectable darling. We’re late to covering the 2018 release of this Port-finished bourbon, but, as always, figure it’s better late than never. For the sake of comparison, here’s a look at prior coverage from 2013, 2013 (2nd release), 2014, and 2015. The nose is immediately hot — and dry — dusty but heavy with roasted grain and lumberyard notes. Heavy clove aromas waft from the glass, along with a brambly, vaguely pastoral character. At full strength the palate is unapproachable. It’s just too dry to get much from aside from a melange of spice box and fresh-cut lumber notes. The sweetness of the Port barrel, in particular, is completely absent. Add water (and don’t be shy) and a somewhat different picture develops. It’s still a dry and somewhat dusty whiskey, but pretty notes of raisin, spiced cider, and dark chocolate emerge. Nevertheless, it’s tough to get away from that woody, drying character, particularly as the finish develops, which again showcases a significant vegetal character. I have to say, this year’s release is far from my favorite, and I greatly prefer the standard bottling. It’s not a crime! 124 proof. 12,000 bottles produced.